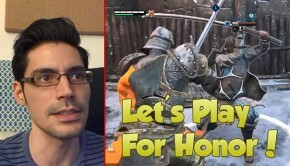 With Ubisoft’s showcase happening not that long ago, we’ve all had a chance to digest everything that was thrown at us and running through the list they looked to have done better then previous years. For the people who may have missed the showcase, we’re going to be covering everything that we’ve seen, what seemed to be good, what they should be doing more on, and everything else that the showcase was jam-packed full of. 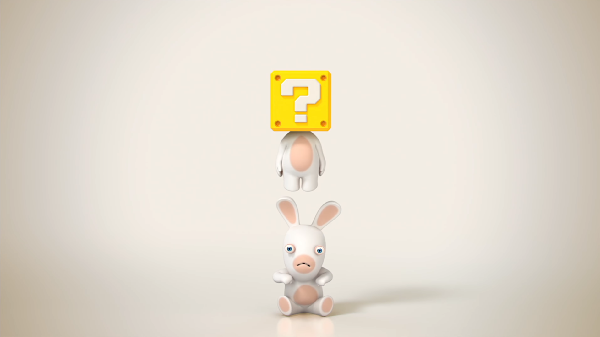 First on deck was the much awaited game, Mario + Rabbids: Kingdom Battle, a game that is dropping August 29th exclusively for the Nintendo Switch. Apparently this game has many people on the fence about what it’s going to be like, myself included. Not sure how the mix of the two universes were going to mix together with one another, but after seeing what they had to show us, we can say that it seems like something that is going to be interesting, and something to be on the look out for. They went with a turn based tactical adventure game like XCom, instead of the normal Mario platformer that everyone is used to. You will be mixing and matching characters to form what they’re calling a Dream team, to save the Mushroom Kingdom with a mix of new powers, and new characters. There is also now what they are calling Battle Zones. In these flagged zones you work together as a team to take out whomever is in the zone, or you complete the task that is given, some which may just be getting to the other side of the zone. One of the only downfalls that we are seeing is that there may not be multiplayer in the game, but something they may add later on. The announcement of the new Assassin’s Creed game was something that many were waiting for, but to many others…not so much. Some people saying that the franchise is over done, and giving up hope that this new game wouldn’t be worth it in the long run. 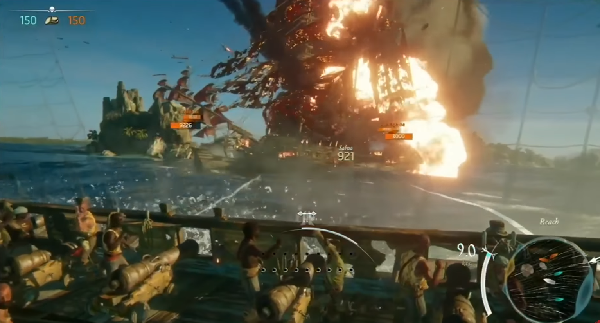 With that being said, they did show off an amazing trailer, along with thirty minutes of actual game play footage. 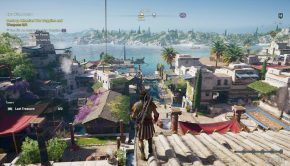 Assassin’s Creed: Origins will embrace action RPG elements, sprawling open world maps, and more free-form action. This time taking us to the beginning as they say, before the Brotherhood, before Altaïr Ibn-La’Ahad before what many even knew what an assassin was. This time around you play as Bayek the last Medjay, along with his modern counterpart who is already a trained assassin. Many are saying that he interacts with Rebecca, Shaun and William. His mission, will apparently be handed over by William something that we have not seen in the past few games. There have been reports as well, stating that it takes elements from both Unity and Syndicate, along with combat and stealth being fixed this time round. Something that may be on the downside of a game like this would be the fans that have already given up on the franchise or the ones that say that the game is getting too “Cookie Cutter”. Be on the look out for this game dropping October 27th of this year. There were a few games that were shown that were already in early access. The Crew 2 the sequel that has been said to turn the racing genre on its head. This time around you are able to not only street race but you are able to go off-road, and conquer the sea, and air as well to become the biggest name in all of racing. Another that game in beta is a new pirate game that is coming out in the fall, called Skull and Bones, where you embrace the pirate life, and sail the high seas when Piracy was at its peak. In this tactical combat game, where you take over trade routes and collect the one thing that pirates cared about the most… Booty! You’re even able to have a five on five PVP matches and see which crew has bigger cannon balls. Skulls and Bones also offers solo story lines, or co-op, where you’ll can help your friends build the best fleet out there. So be on the look out for these games in 2018. 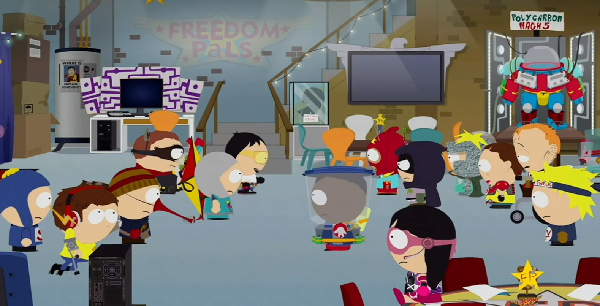 South Park, everyone’s favorite show, has two games that were shown. One of them being the much talked about The Fractured But Whole, and the other a mobile game known as Phone Destroyer. we should start with the first of the two. The Fractured But Whole asks the question to the players what are you? Are you an alien, a high-tech wonder, or a genetically altered mutant? You also get to create your own one-of-a-kind costume, craft your origin story, and build out your unique superpowers. Find that cool? Not only that, you get to explore many new places in South Park, but remember that at night, a whole new world opens up, where your alter ego harnesses their powers to do whatever it takes to save the town. Phone Destroyer on the other hand is a free to play real time strategy card game which reminded me of the very first game Stick of Truth. Expect to see trademarked South Park humor and collectible cards in a perfect mix. 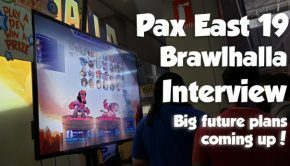 We also go a look at Steep, Starlink: Battle for Atlas, and Just Dance 2018 Just Dance 2018 will be coming into the mix with players being able to dance to 40 of the hottest tracks of the year including “24K Magic” by Bruno Mars, “Side to Side” by Ariana Grande ft. Nicki Minaj, “Chantaje” by Shakira Ft. Maluma, among other songs as well. This game along with last years are both able to be played on the Nintendo Switch as well as all the other systems. Steep the game where you become the king of the mountain, with full customization along with being able to pick what kind of ride you have, is coming out with the first expansion. Ubisoft didn’t say too much about the expansion, save for the fact that it will have to deal with the Winter Olympics, and what athletes will need to do in order to compete and train for the events. 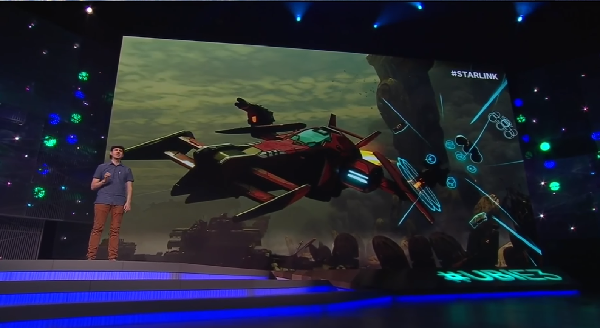 Finally Starlink: Battle for Atlas, a game that brings toys-to-life. Players will create a team of starfighter pilots and directly control them in battle against an enemy known as the Forgotten Legion. Not much is said about the plot of the game, but from what I’ve seen it reminded of No Man’s Sky. Ubisoft also announced they were working on a VR title that was being called Transference. The company is explaining the title as a psychological thriller. Where you meet a troubled family and solve their riddle through a multi-branching narrative, by experiencing the limits of techno-psychology and escaping a maze-like puzzle concealing a corrupted truth. The trailer for the game did peak interest with many people are we are looking forward to finding out more about the game as Spring of 2018 comes closer. The big announcements from Ubisoft other than Mario + Rabbids, was the next installment of Far Cry 5 and Beyond Good and Evil 2. 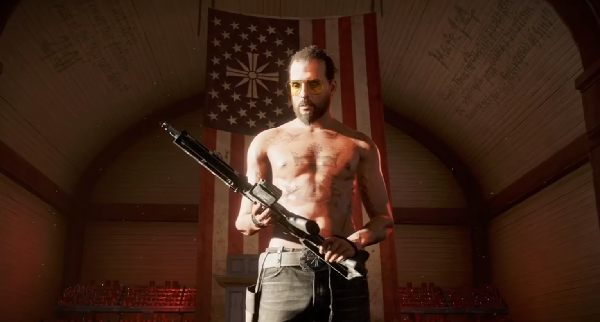 This time around for Far Cry 5, is set in Hope County, Montana. Ubisoft themselves have said that this time around Hope County is also home to a fanatical doomsday cult known as The Project at Eden’s Gate that is threatening the community’s freedom. Stand up to the cult’s leader, Joseph Seed and the Heralds, and spark the fires of resistance that will liberate the besieged community. In this expansive world, your limits and creativity will be tested against the biggest and most ruthless baddest enemy Far Cry has ever seen. The game will also have co-op where you can hire your friends to help you go after the doomsday cult. Beyond Good and Evil 2, is one game that so many fans have been waiting for. A game that has been in the works for almost 15 years. It was said that this game is going to take place before the birth of Jade, the first game’s main character, and that it deals with finding your place in the stars. The first Good and Evil game was a semi-linear stealth/action game set in a Sci-Fi future populated by humans and sentient animal chimera’s called Hybrid. The game focused on a young photojournalist name Jade and her ragtag band of allies trying to save their planet from a deadly conspiracy. That said, this sequel-that’s-actually-a-prequel isn’t focused on Jade or her friends – it tells a new story in the same world, though it’s a very different version than in the original. This chapter focuses on a time when System 3, is newly colonized by humans and their still-enslaved genetically engineered Hybrids. The Hybrids we’ll meet at this point in history will be either slaves, liberated, or on the run. They also announced the start of The Space Monkey program, that you would be able to sign up for. 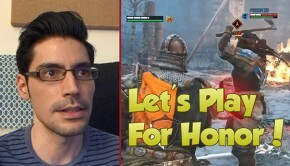 From what everyone is understanding, it is a way that you are able to give feedback to the developers about changes or things in the game, almost as if you were a test player for the game, a game that they want to be perfect for the players that have stuck with them for so long. Overall, if you don’t like or love Ubisoft as a developer, the showcase this year was not bad at all, there is many things to look forward to. Along with many things that still have not been told to us fully but something that is interesting to keep an eye on to see what happens.